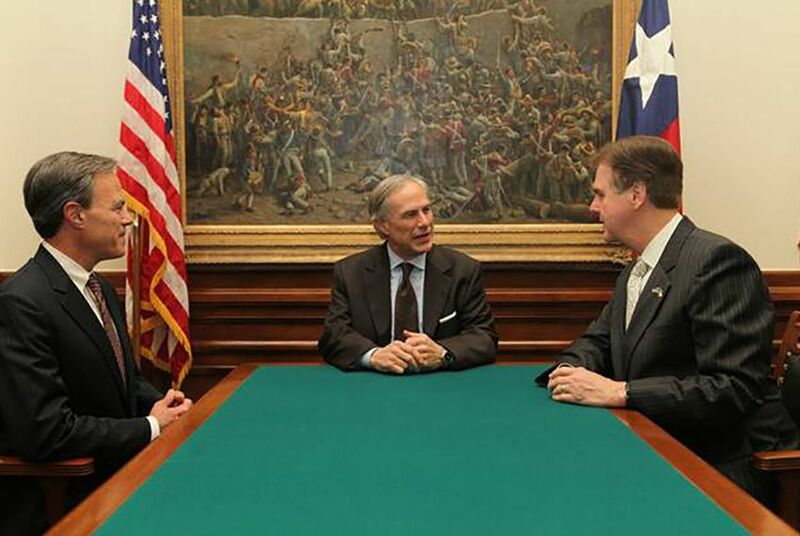 For Texans, something is missing from this election: a conversation about the direction of the state government. That’s not unusual because we elect most of our top state officials in presidential off-years. But with the political turmoil and argument that has marked this particular election cycle, there is bound to be some confusion when the Legislature convenes in January. Elections are where politicians get their instructions. The instructions this year seem to be to keep your head down and shoo the children away from the television when national candidates are flying around. Texas lawmakers won't have the comfort of voter mandates to lean on when they meet in January. This year's election is about Donald Trump and Hillary Clinton. It’s not an election, at least not directly, about the things people want the state government to do — or about the things various people in government are talking about trying to do. Gov. Greg Abbott’s big issue — one he’s written a book about — is a package of amendments to the U.S. Constitution that would shift power from the federal government and to the states. It’s a long road — a supermajority of states would have to get together on the content of those amendments and then win approval of those agreed-upon changes from another supermajority of states. Lt. Gov. Dan Patrick has been doing groundwork for some time, telling supporters, trade groups and state senators that he’ll be all about regulating transgender people’s use of restrooms and other such facilities, limiting property tax increases and allowing school choice, along with other issues, during the 2017 legislative session. House Speaker Joe Straus is talking education, too, but his emphasis lately has been on changing how public education is paid for, particularly on keeping local dollars in local hands — an idea that some experts say would require the state to pick up a greater share of overall education spending. But here’s the deal: Voters aren’t really settling any of those differences in this election, or even registering their feelings about those issues. Patrick and Abbott aren’t on the ballot. Straus has no general election opponent, and nobody in the 150-member House has threatened to challenge him in a race for speaker when the legislative session begins in January. Most of the rest of the state’s lawmakers are in the same shape. There are local issues here and there around the state, but nothing that would amount to a referendum on school choice, property taxes, school finance, amending the U.S. Constitution or setting state policy on who gets to use which restrooms at ballparks, concert halls or schoolhouses. Elections are where politicians get their instructions. The instructions this year seem to be to keep your head down and shoo the children away from the television when national candidates are flying around. Lawmakers can study poll results, and they almost certainly have. And some issues — school choice is one — didn’t fare particularly well in the party primaries in March. Patrick is trying an idea that’s new to Texas — educational savings accounts, which would allow parents to use money that would have gone to public schools for private schools instead. That idea took a whipping from the House Public Education Committee last month, but Patrick has said he won’t consider sweeping changes to school finance unless education reforms he wants, like school choice, are included. The 181 members of the House and Senate won’t get much direction, either, thanks in large part to the way the state’s political maps are drawn. Sixteen of the 31 Senate seats are on the November ballot, and it would take a genuine fluke for a Republican to wrest away a Democratic seat or vice-versa. The maps are too lopsided for that. In the 150-member House, only a handful of seats — 10, if you’re generous — offer any chance of a party change. The lack of competition erases a chance for a real battle of ideas; to a very real extent, it erases most incentives for a deep discussion of big issues at all. The candidates in the truly competitive districts are busily trying to defend themselves from the fallout of the top race. Feelings for and against the presidential candidates could have more effect on down-ballot contenders than anything they might say about school finance. That leaves polls, noise and information from grassroots and trade groups, and the persuasive abilities of the state’s top three leaders. This year, state issues aren’t being settled at the ballot box.